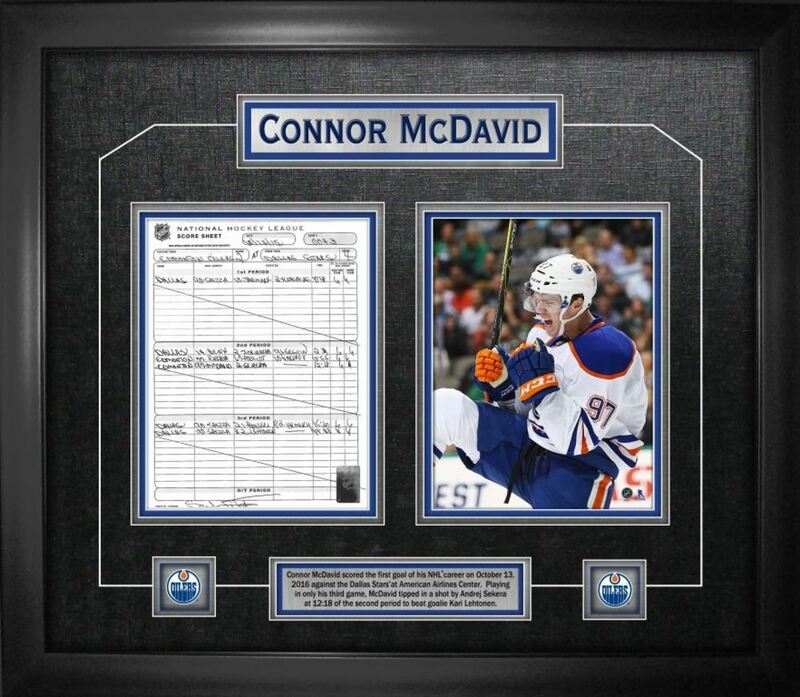 This uniqur frame features an 8" x 10" game photo of Connor McDavid and a replica scoresheet from the game where McDavid recorded his first career NHL goal. This item has a black frame and includes an etched description and a decorative v-groove. FINISHED SIZE APPROX. 26" x 30"